Flat Fee! Full MLS Service! Why Pay More? Vancouver is consistently named as one of the top five worldwide cities for livability & quality of life. With that comes high real estate prices & fees! One Percent Realty Vancouver, aims to fix that. You can now sell your Vancouver home for one low flat fee from $7,950. 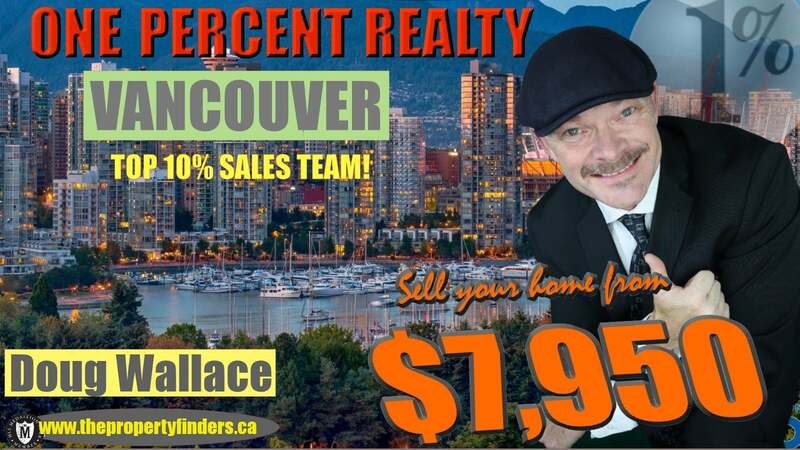 If your a buyer looking to purchase a Vancouver real estate then look no further! Finding Vancouver condos, new homes, town homes & houses for sale, has never been easier. Our exclusive home search tool, will help you find the perfect home. You will even find homes not currently on the public MLS system! For every buyer that uses our FREE home buyers service, will receive $1,000 CASH upon a completed home purchase! Check Out Our EXCLUSIVE Marketing Of Your Vancouver Home! Plus Our CASH BACK Home Buyers Program! Thank you! My home sold in the first week & for more than my neighbors home during that same time. I can't say how happy i am. See All Vancouver MLS Listings Bellow - Even Homes Not On The Public System Yet! Surrey British Columbia - Surrey is located in British Columbia, Canada, on the Lower Mainland just south of the Fraser River. Our city is a destination for families, individuals and businesses. Does 1 Percent Realty Really Work? VANCOUVER, BC – June 4, 2018 – Home buyer demand continues to decline across the Metro Vancouver housing market.